Thanks to the digitized process offered by TheSquareFoot, searching for commercial property has become easier. As a result, a lot of the stress associated with the search is eliminated, making the buying process more efficient and enjoyable. With TheSquareFoot, potential tenants interested in finding commercial space can browse through numerous properties using the interactive map. In addition, potential matches are identified with the Space Calculator, in which specifications are entered on an application in exchange for a list of properties. After finding properties of interest, potential tenants can contact one of the agents whenever it is convenient. With the TourBook feature of TheSquareFoot, a potential tenant is actually matched to an agent. This makes it possible for the client and agent to hold a real-time conversation via the web. Tenants also have the ability to manage listings and schedule viewings online. For real estate agents, TheSquareFoot makes it possible to upload leasing documents, which eliminates the need to send out long emails containing listings or PDF documents. Justin Lee, co-founder and chief operating officer of TheSquareFoot, confirmed that what the company is doing is not actually new for the real estate industry since other technologies have been used for quite some time in helping buyers find properties. However, those technologies focus on residential listings, whereas TheSquareFoot focuses on the commercial real estate arena. 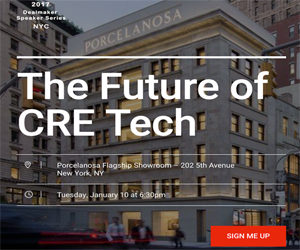 Matt Cohen, chief technologist with Clareity Consulting, which is an advisory firm for the real estate industry, said technologies for commercial real estate have been developed more slowly than those for residential properties. He said that when searching for homes, searches are narrow, meaning that little information is required. In comparison, the search process for commercial property is more complex, which is why fewer solutions have been developed. The majority of search tools that have been developed for commercial real estate are designed for professionals working in the field rather than the tenants looking for space. What makes TheSquareFoot unique is that it provides the appropriate tools for tenants to use to find commercial real estate property. It also allows listing agents to offer assistance in finalizing the leasing process. Initially, TheSquareFoot was an online listing service available only for Houston-based landlords of large commercial properties. However, a new idea soon formed to connect all commercial tenants and landlords. Quickly, this service became incredibly popular with landlords, resulting in an expansion to other markets in Austin and Dallas. Then, company executives discovered there was no solution for both landlords and tenants. Cohen and other executives with TheSquareFoot were constantly being told that both tenants and landlords needed to be more involved. Today, this technology has expanded to the New York market, with anticipation of reaching additional markets in the near future. TheSquareFoot is highly innovative and is now considered an extremely beneficial technology for tenants and landlords alike.